CORK Event page, registration and NOR is LIVE (April 4, 2017). 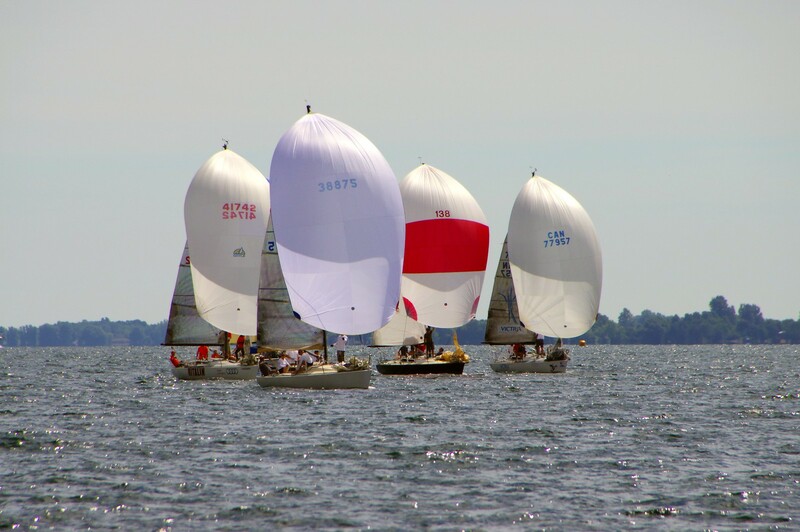 The 2017 North American Championships will again be hosted at CORK, Kingston, Ontario, in conjunction with Etchells Canadians. Massive thanks again to Mike Hull of O30 Ritalin for being the point person in organizing our 2017 event, which will hopefully be a repeat of 2016. Visit the Forums topic for the 2017 NAC’s for more discussion, and if you wish to be included on the email distribution list for the 2017 NAC’s send a message to the webmaster here. 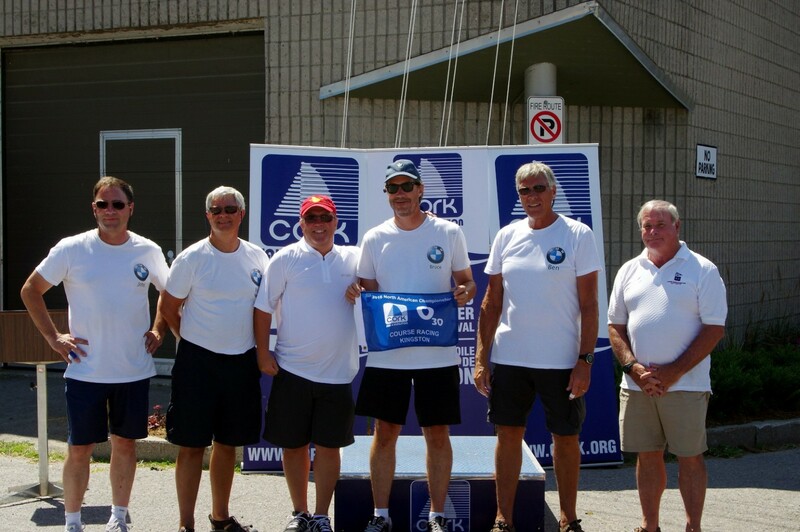 2016 NAC’s Overall Champions and Course Race Champions O’Naturel and crew, Skipper Bruce Rand. 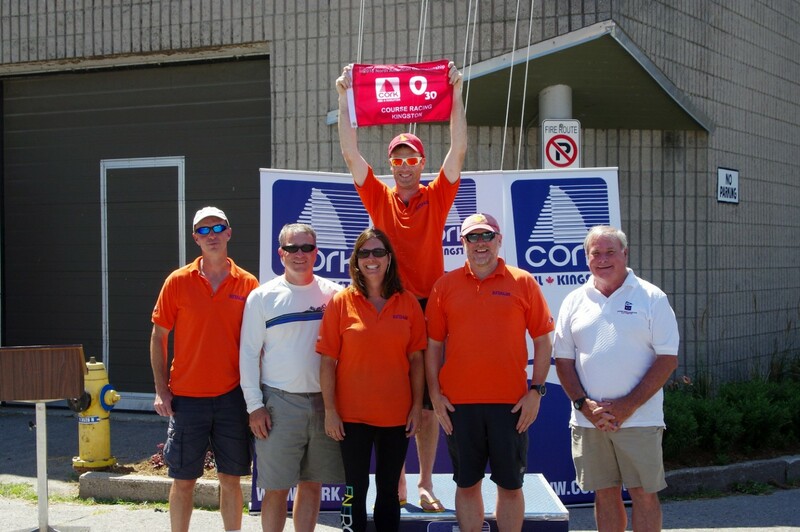 Check in Thursday July 20, 1300-1800 hours and Friday July 21, 0800-0900 hours in the CORK Regatta office. Mobile Crane will be available for launch Thursday 1300-1700. A mast crane is available at all times free of charge. Dates of racing: Friday July 21, Saturday July 22 and Sunday July 23. 6 course races and one long distance race. The scheduled time for the warning for the first race each day will be 1100 hrs. 7 No warning signal will be displayed after 14:00 hrs Sunday July 23rd. Mobile crane will be available for haul-out Sunday afternoon 1400-1600. The awards ceremony will take place as soon as possible after the last race on Sunday. Fleet meeting will convene after awards. Minutes from last year’s Fleet meeting to be read and approved, full agenda for meeting to be published before the meeting. 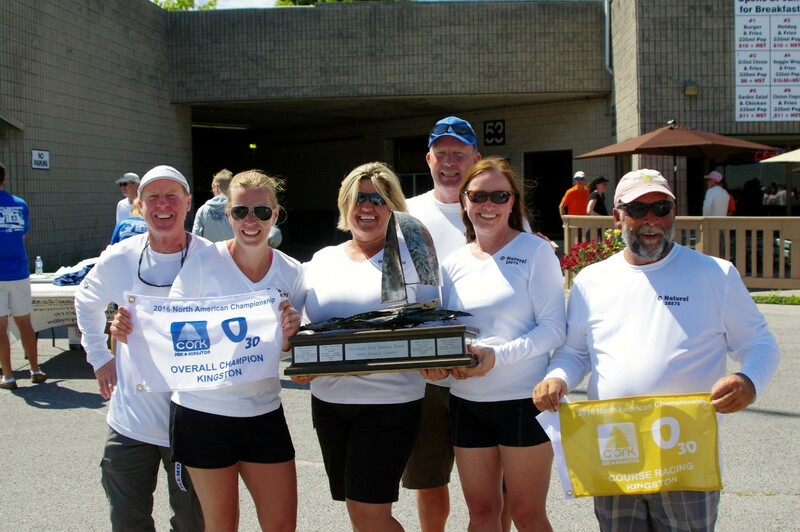 Saturday – own cost BBQ @KYC – Special features, sponsored by your Olson 30 Class Association.